Since Facebook first appeared, users have wondered who was looking at their Wall, their information, their photos - basically, who was stalking them. Facebook have always insisted on privacy for all; despite many failed attempts to circumvent this policy. Now, thanks to Dutch outfit SentinelVisage, you can find out who has been spending strange amounts of time examining your profile. SV insist that their programming does break into the Facebook code and monitor profile views of a given account. Our limited testing shows that this is indeed the case and the fact that Facebook have begun legal action against SV adds legitimacy to SV's claim. The free version of the software gives very basic information about each of your friends ventures onto your profile. The paid for version goes into much more detail: graphs of profile viewing levels, amount of time spent on each page etc - an anti-stalking dream. 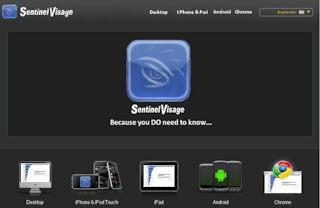 See what you think by downloading the software at: SentinelVisage.Com.